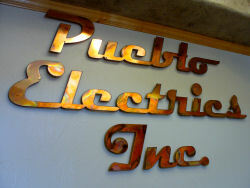 Pueblo Electrics was founded in 1984 by Ronald "Snozz" Guarienti and his partners. Since then, P.E. has been serving the Pueblo community and the surrounding areas of Colorado. Pueblo Electrics normally performs 100% of its work with its own forces. P.E. employs electricians with the highest level of training and experience available. P.E. has employees that hold Colorado Master Electrician licenses, are NICET certified, and have as much as 40 years experience in the field. Pueblo Electrics' low voltage division has a BICSI RCDD on staff. P.E. has the experience, manpower and tools to complete a project to your satisfaction. With the recent retirement of Snozz, Pueblo Electrics is now owned and operated by his son, Ron. 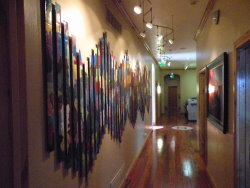 Ron is committed to preserving the reputation for honesty and excellence that Snozz built so successfully over the years, while growing the company into the future. He is proud to lead a business that has so much past experience to build on. We recently received a rating of Excellent from the U.S. Army Corps of Engineers for work on their projects at Fort Carson and the Air Force Academy. BICSI - Building Industry Consulting Service International, Inc.